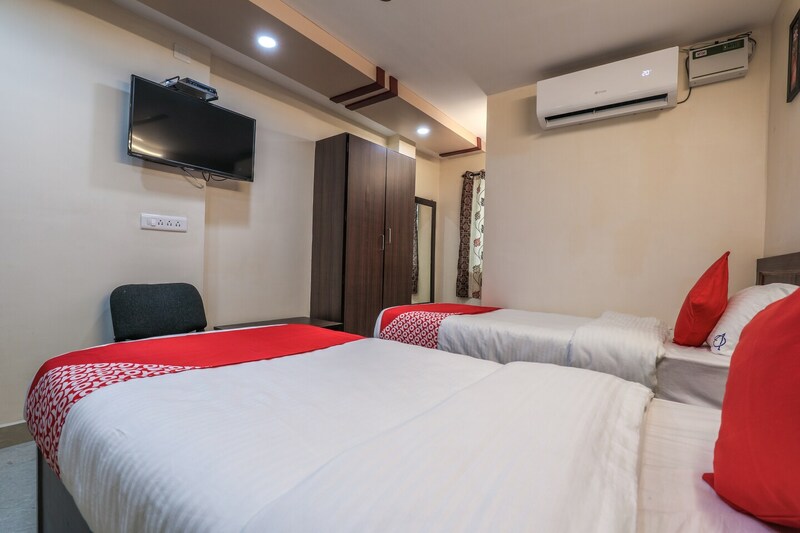 Vizag Grand is a budget friendly, simple and well-maintained hotel within walking distance of lavish restaurants, markets, temples, banks and gardens including the popular VMRDA City Central Park. Ramakrishna beach is also within close proximity of the hotel. Vizag Grand offers cosy and simple rooms to guests, which are classically furnished with king sized beds, a TV, air conditioning, wardrobes and a simple en-suite bathroom. In the lobby, guests can relax on the plush sofa set while checking-in. The hotel takes pride in cleaning the halls and rooms daily to ensure maximum hygiene. Free Wi-Fi is available to all guests.